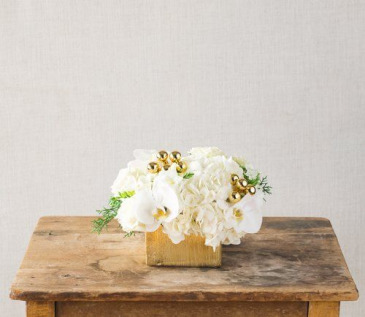 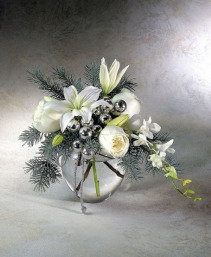 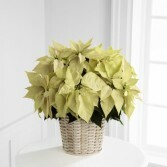 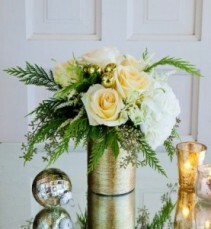 White Hydrangea and white Phalaenopsis orchids with a delicate amount of Christmas greens and gold mini baubles arranged in a gold colored container. 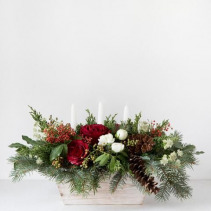 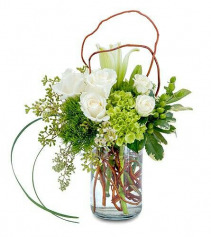 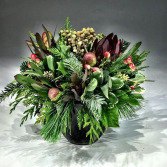 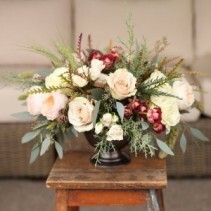 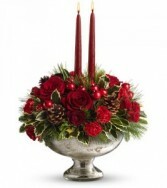 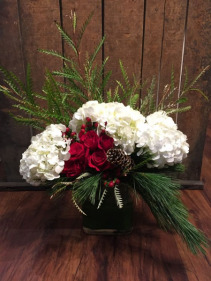 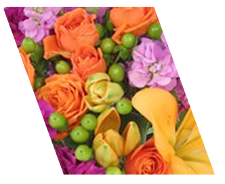 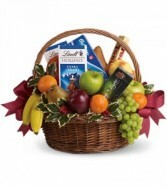 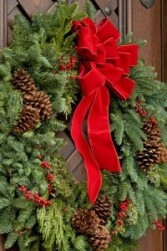 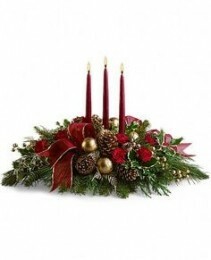 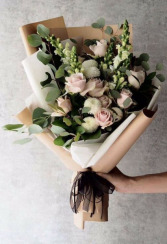 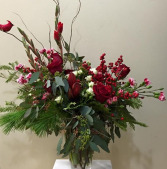 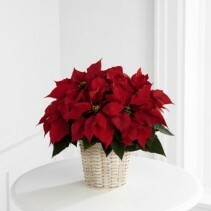 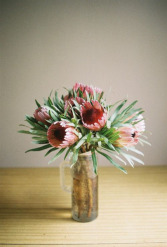 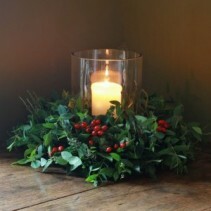 This Seasonal arrangement will certainly "tide you over" the Holidays...Extremely long lasting Leucadendrons, berries and a wide mix of Christmas greens in either a black or white ceramic container. 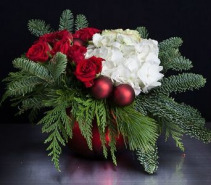 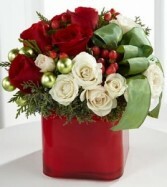 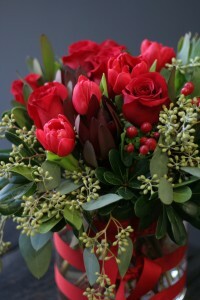 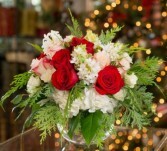 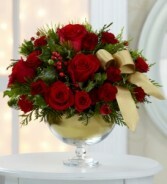 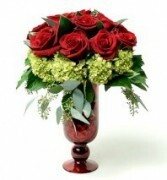 Christmas Vase Arrangement using an assortment of Christmas greens, Amaryllis, Roses, Berries, Spray Roses, Mini Carnations and Curly Willow for a cardinal bird to perch.